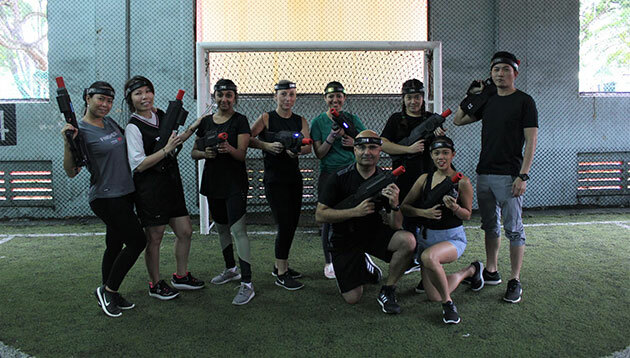 On 29 June, the Human Resources team gathered at The Cage near Kallang Stadium in anticipation for a laser tag showdown. 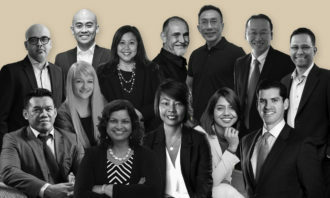 Our team of 20 talented (and competitive!) 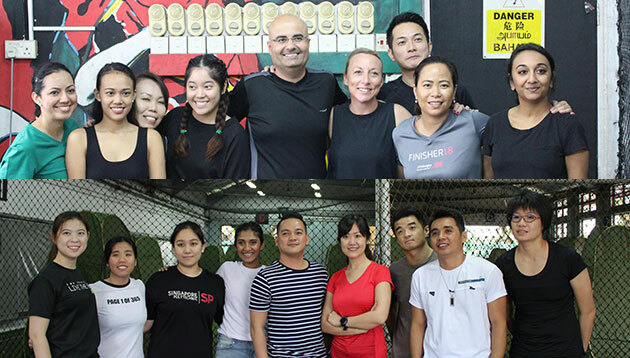 staff members from across the brand split into two teams and each team was ready to achieve victory. 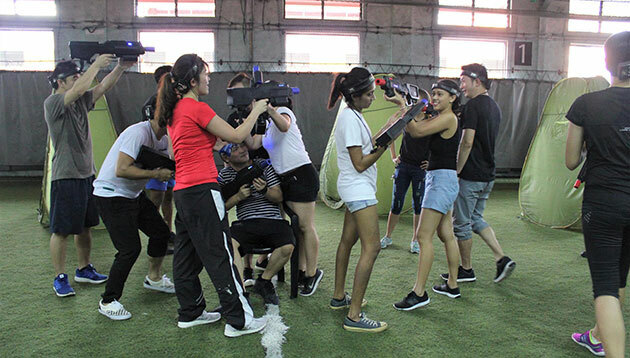 There were three rounds for the two teams to go head-to-head in a battle of laser tag. In the first round, Counterstrike, the team with the most kills of the other team, wins. To our surprise, the ten-minute round actually took a lot of energy but many of us were driven by the motivation to win. In the end, the round ended in a draw with both teams collecting 45 kills each. 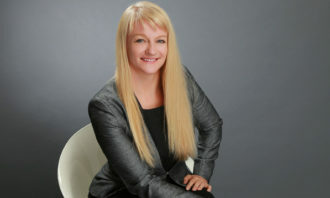 The draw only brought out tenacity from the entire Human Resources team, which thrives on a fast-paced environment. In the second round, Capture the Flag, the two teams had to look for seven flags hidden in tents that were spread out in the indoor soccer court and hold on to them until the end of the round. This is where our competitive edge surfaced as both teams searched high and low for these flags, analysing who on the other team could be holding them. Instinct played a big part in this round where we not only had to find the flags, but we had to find out who on the other team would be holding one. The winning team won by holding four flags until the end of the round. The extremely close call just shows how passionately each team wanted the win. 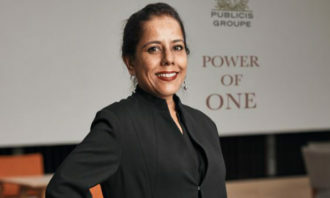 Finally the third and most combative round, Game of Thrones, brought out a fiercer and more determined side of the Human Resources team members. In this round, any member from both teams has to sit on a chair that is placed in the middle of the battleground. The person can only sit in the chair until they are shot down. The team that sits on the chair for the longest time collectively will win. Knowing that victory was looming, there was an intensity in the air as both teams wanted to sit on that throne. 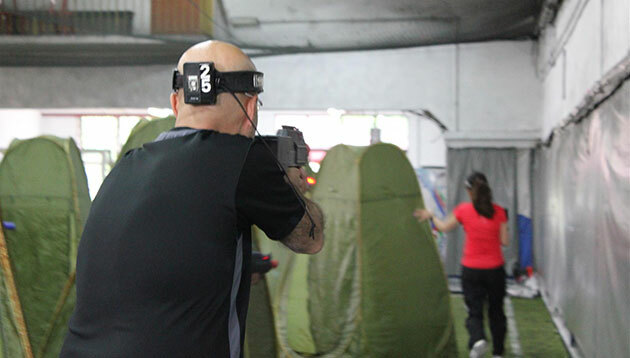 Some scratches were sustained in the crossfire but the consensus was that it was worth it! Upon the team’s winning, there was nothing but congratulations from both sides as everyone recognised the level of effort everybody put in. At the end of the two-hour activity, the Human Resources team learned a lot more about each other, strengthening the bond the team shared. We were able to discover the hidden qualities that emerged on the battleground, which will only help in the long run. 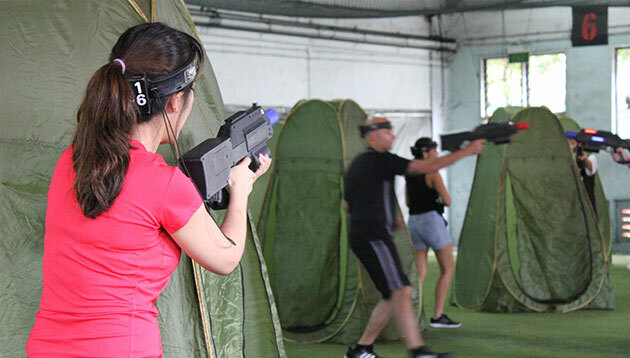 The event was organised by BATTLESTRIKE, founded four years ago, with the aim to make laser tag more accessible and exciting by adopting a mobile and wireless approach. 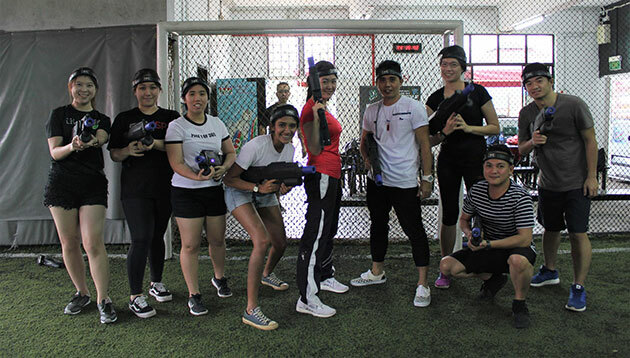 Combining technology, nature and sports, BATTLESTRIKE strives to build teamwork and collaboration skills in a fun environment.